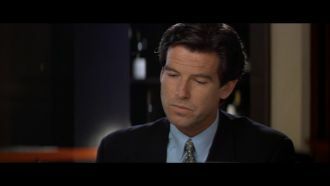 Comparison between the shortened UK version released by Fox (PG) and the uncut German DVD released by 20th Century Fox. There's 1 missing scene with a runtime of 15 seconds. 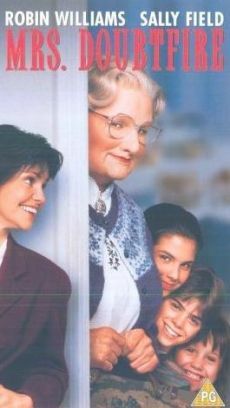 This pretty amusing comedy movie at first was released in a censored version in British cinemas. Additionally, the first prints of both the VHS and the DVD version were censored in the same way. 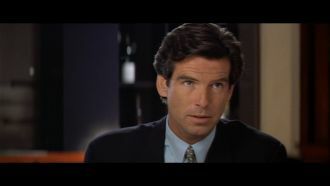 One dialogue which included sexual innuendo had to be cut out, even though I highly doubt that children would get the subliminal sexual content. Finally, in 2003 and 2007 the movie was re-released on DVD and this time in it's uncensored version. 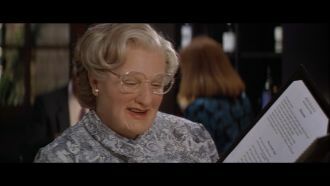 Mrs. Doubtfire: You know, dear! Sink the sub! Hide the Weasel? Park the porpoise? Bit of the old humpty dumpty? Little Jack Horny? The horizontal Mambo? 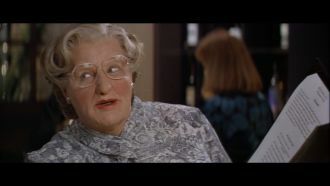 Mrs. Doubtfire: The bone dance, eh? Rumpleforeskin? Baloney bop? Bit of the old cunning linguistics? Hm?